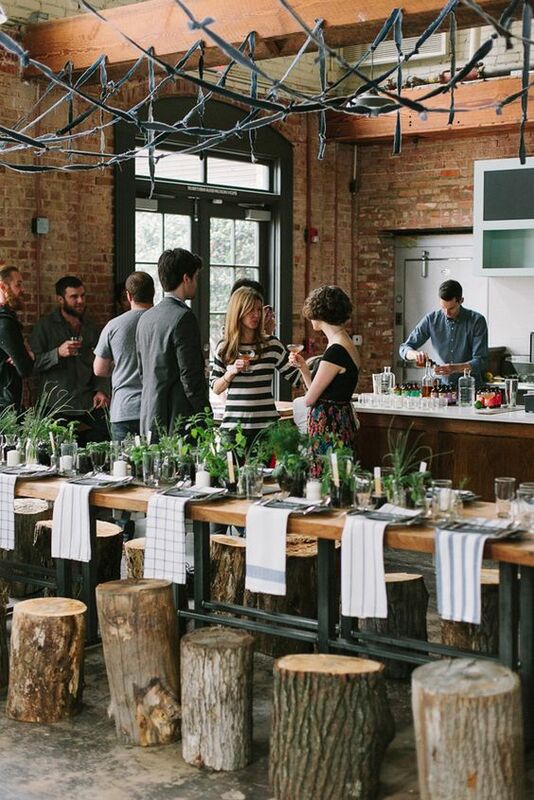 Want the appearance of a formal dinner party, but have a crowd that won't judge your decision to use disposable products? 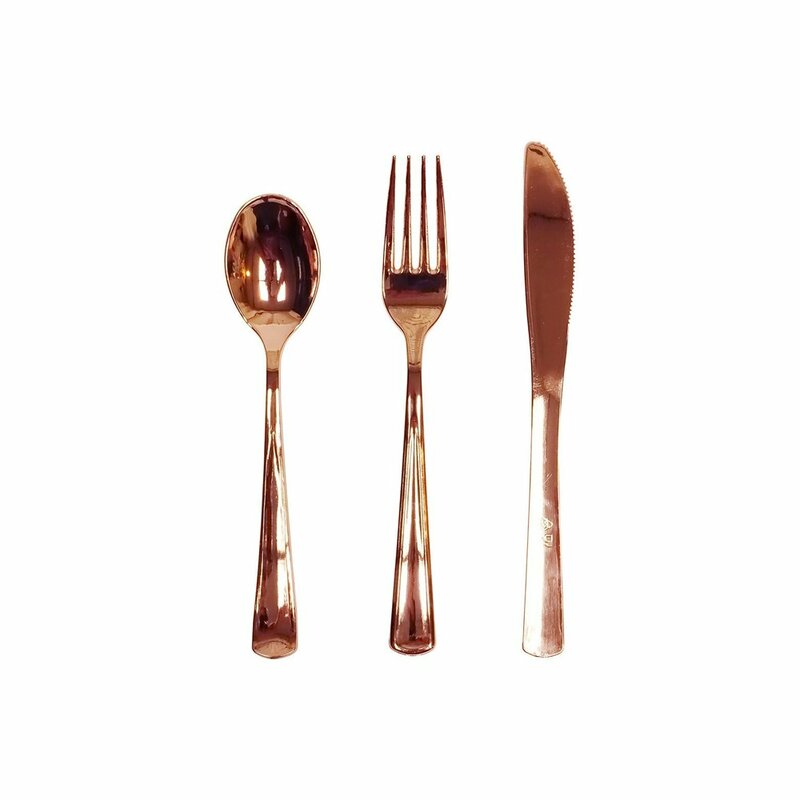 These gold forks from Spritz are definitely the way to go! They are a fabulous rose gold color, perfect for a Fall table! I'm obsessed with these for our Friendsgiving dinner! I am obsessed with a simple rustic tablescape for a dinner party! Lately my go to has been silver dollar and seeded eucalyptus! Fortunately, we live close to a Trader Joe's that has an amazing floral department! They sell bunches of eucalyptus for only $3!!! Not only does it smell wonderful, its the perfect color and texture for a table runner for Friendsgiving! If you know me at all, you know that I love to decorate in neutrals and mixed metals! 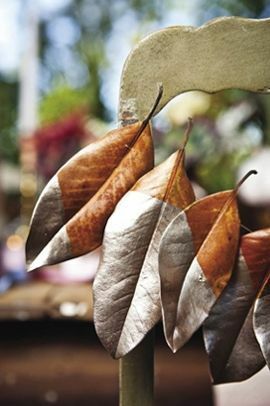 This year, I'm obsessed with the idea of decorating with dried magnolia leaves! I walk Stella in our neighborhood and we are always picking up the fallen magnolia leaves and stems! I knew I wanted to use them at our Friendsgiving, and I think gold dipping them like these pictured and adding a name would make for a perfect place card!! I loved the look of these mismatched napkins from this post on Pinterest, and was so surprised to randomly see them when I was in Ikea last weekend buying Stella's play kitchen! They are the ELLY Dish Towel and are 4 for $3.99, so insanely affordable and extremely cute for a rustic outdoor dinner party! Nothing sounds better to me at any given time than freshly baked bread. I've wanted to make homemade bread for our Friendsgiving dinner for a while now, but the task has always seemed so daunting! This simple 4 Ingredient Farmer's Bread looks like it might be the perfect recipe to try for its simple ingredients and ease of baking! I plan on baking a few shareable loaves for the table! I'll let you know how it goes! Our Friendsgiving has grown from a couples dinner party without kids into a family friendly event with over 10 kids between us. Our kid's table is continually growing, so likewise is the need for cute kid's table decor! I came across this post for origami boats and I thought they would be adorable transformed into the Mayflower and filled with popcorn or trail mix as a kid friendly appetizer! I made this adorable garland last year to swag along my dessert buffet and it was absolutely adorable!! It is so easy to make and is such a cute touch! You could easily modify it to be another type of pie if pumpkin isn't your favorite! It would be a perfect craft for kids to make so that they can play a role in decorating for Thanksgiving as well! I hope you enjoyed these! I have so many favorite decorating ideas and recipes for the holidays that I can't wait to share!! Keep checking Instagram and the blog for tons of amazing DIYs and recipes all through the holiday season! !